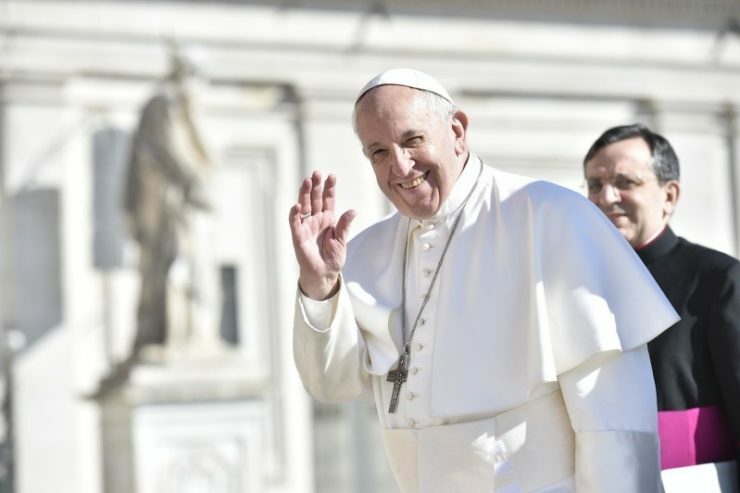 The General Audience was held in St. Peter’s Square, on March 14, 2018, the day after the fifth anniversary of Francis’ pontificate. During his catechesis on Wednesday morning, he spoke of the Mass’ Communion Rites and, specifically, of the “Our Father” prayer. “Thus, opening ourselves to God’s forgiveness, we dispose ourselves to live fraternal love,” continued the Pontiff. Expressed with the rite of peace, is our union and mutual love before approaching the Sacrament, clarified the Pope. The breaking of the Bread, which takes place after the praying of the “Our Father,” is “the gesture that Jesus carried out in the Last Supper, which enabled the disciples to recognize Him after the Resurrection, as in Emmaus, explained His Holiness.